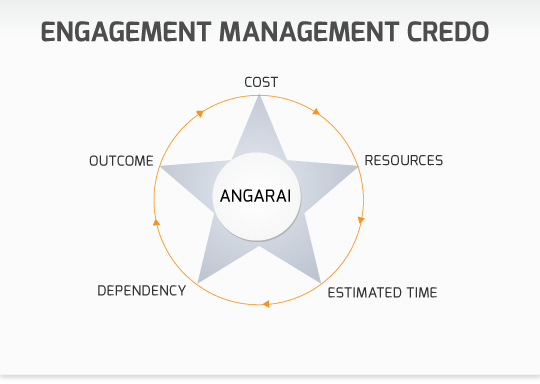 The Engagement Management CREDO is both a philosophy and a model. 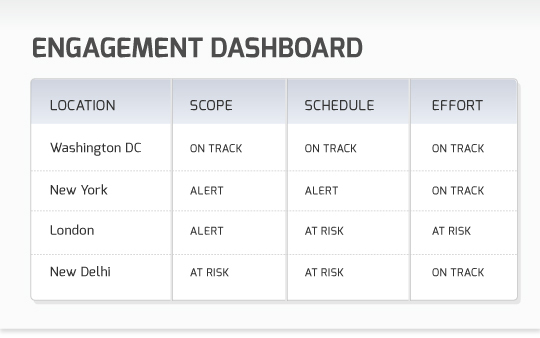 Our overall hawk-eye monitoring of the critical engagement components – Cost, Resources, Estimated Time, Dependencies and Outcome (CREDO), enables us to ensure that none of the project outcomes is accomplished at the cost of the other. In consultation with the sponsor and key stakeholders we identify the primary goal and provide an optimal approach for engagement management.